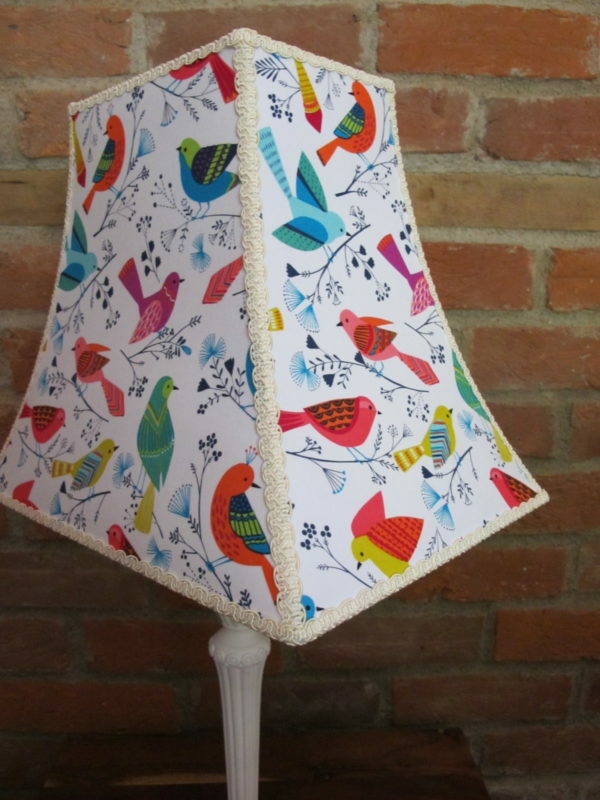 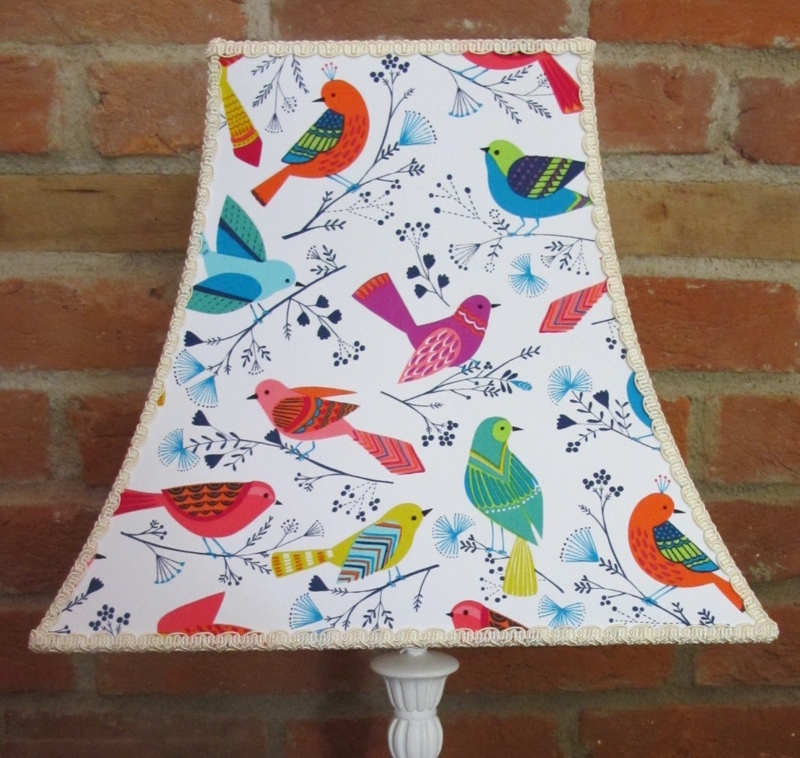 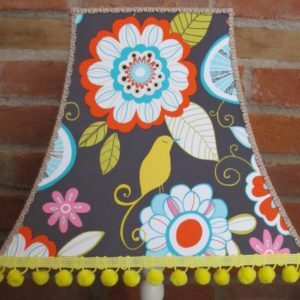 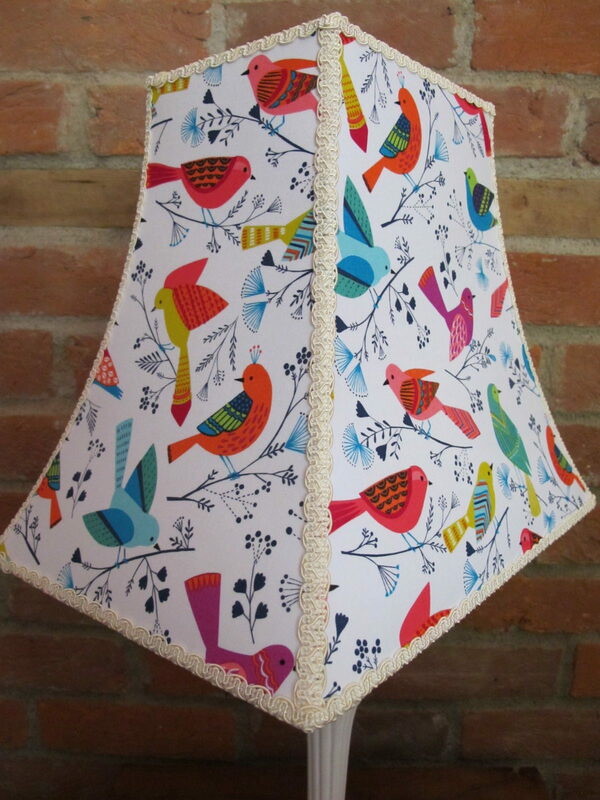 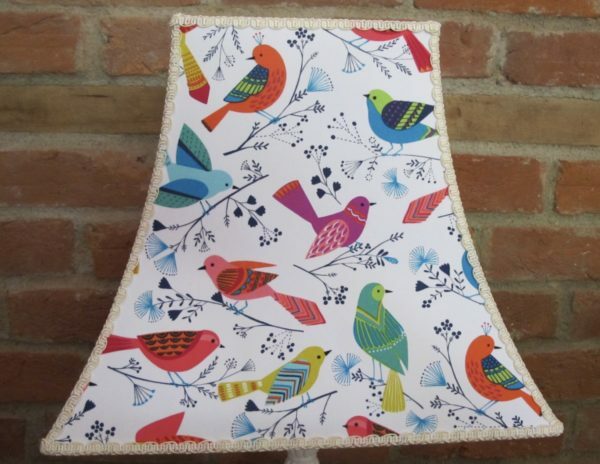 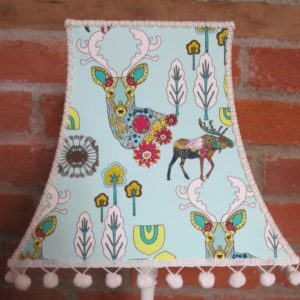 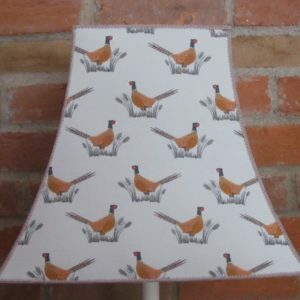 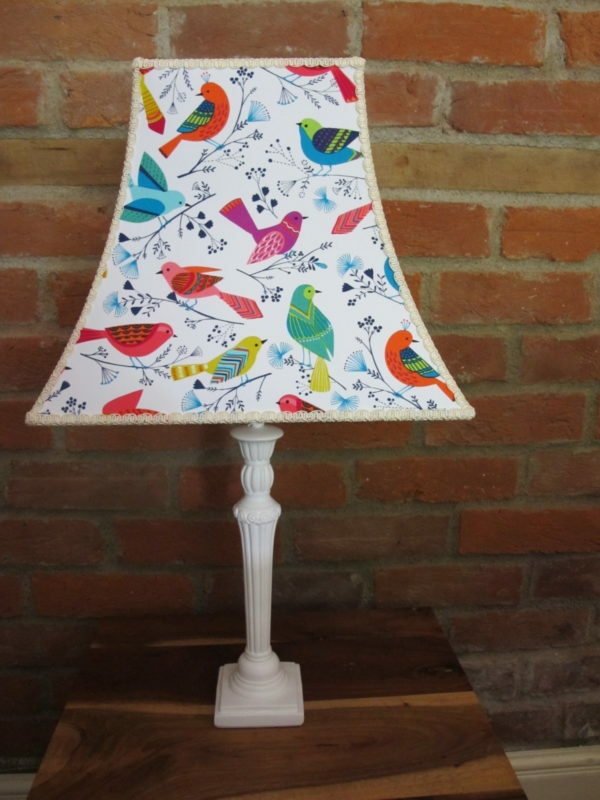 This is a very pretty birdie lampshade. Lots of colourful birds and their beautifully painted wings sitting on a white background, All perched on delicate blue stalks. 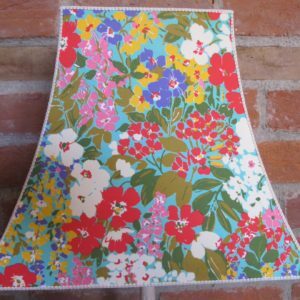 Trimmed with creamed braid to finish it off nicely.